At BlueStone Landscaping we know just how important comfortable outdoor spaces are and all our landscaping services are designed to make your outdoor space something special. 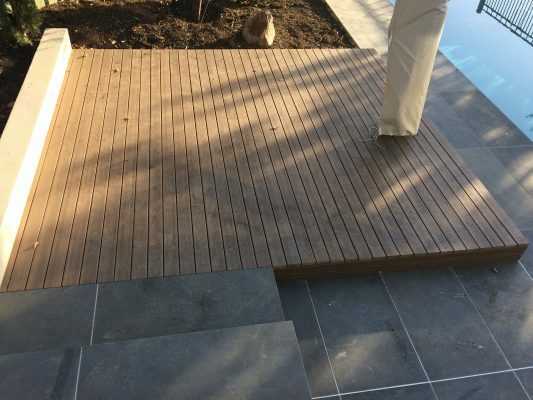 Bendigo is a great region, with stunning landscapes to enjoy, and there’s nowhere better to enjoy the view then on your own timber deck built by BlueStone Landscaping’s builders. Whether you’re looking for a small space to enjoy on a summer evening, a sprawling hardwood timber or modwood deck to surround your new home, or a deck that sits somewhere in between, our team can help you. With years of landscaping and building experience, our team of talented builders can help create any outdoor space you require. We combine expert craftsmanship and an eye for design to construct stunning decking solutions for our customer’s outdoor needs. We completely customise our decking builds to your situation, with building material, size and placement something we can discuss with you. Our designs will work within your budget, and our deck builders will work to your timeframe, so your projects delivered on time and at the price quoted. Timber decking is a genuine investment in the value of your home. Whether you’re planning on selling soon, or sometime in the future, adding a deck to your home is a great idea. So not only is one of BlueStone Landscaping’s decks an investment in your own enjoyment, but it’s an investment in your home’s future value. Talk to one of our team members today and find out what a hardwood timber or modwood deck will cost you with a free quote. 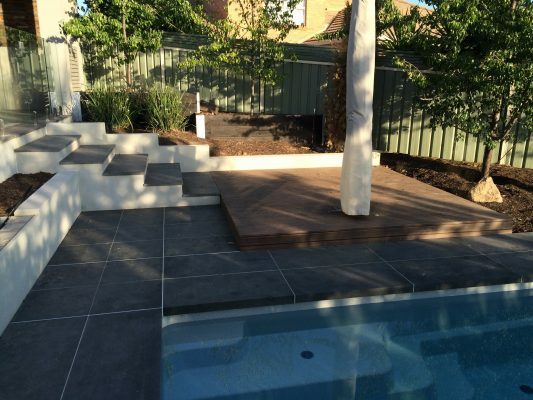 BlueStone Landscaping are more than just one of Bendigo’s favourite deck builders, we offer a complete landscaping service. From retaining walls to paving, pools, and other hardscape landscaping, we can build anything your home needs. And we also offer a complete softscape service, with planting, garden maintenance and more available when needed. With our affordable prices and fantastic level of customer service, there’s no one better in Bendigo for your landscaping projects. Call us today!